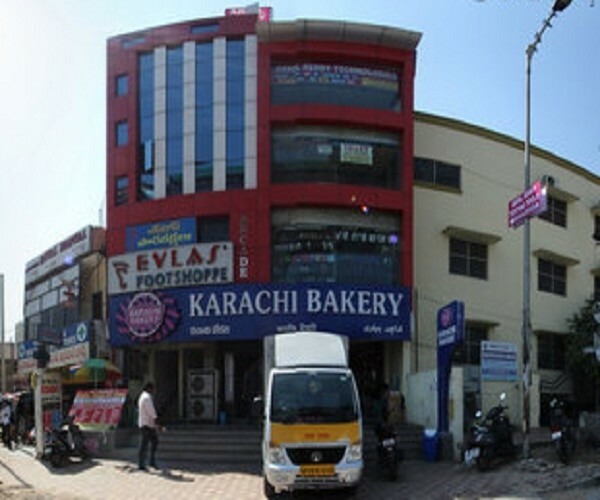 Hyderabad’s iconic Karachi bakery at Ameerpet has come under the scanner of the civic body officials following a complaint from a customer. The premises of the bakery was raided on Tuesday after a customer complained of finding worms in sweets purchased from the bakery. The customer took to Twitter to post pictures of the spoilt sweets. As the tweet went viral, Greater Hyderabad Municipal Corporation (GHMC) West Zone Commissioner Hari Chandana took cognisance of the matter and ordered its authorities to raid the premises. Talking to #KhabarLive, Deepak Pinto, who found the contaminated batch of sweets, told #KhabarLive that the confectionaries were a gift from friends. “The sweets were well within the expiry date. My wife first noticed a white powdered substance on the sweets. We couldn’t really decide if the sweets were contaminated or not. In the second piece she took, there were worms wriggling out of it. We found worms in two more sweets and the remaining had a white powdered substance on top of it,” Deepak said. Deepak’s friend Donita took to Twitter and posted the pictures of the contaminated sweets. GHMC Commissioner Hari Chandana immediately responded to the tweet and ordered the food safety officials of the civic body to raid the premises of the bakery. Hari Chandana also confirmed to #KhabarLive that the contaminated consignment has been confiscated and a fine of Rs 25,000 has been levied on the bakery owners for violating safety norms. Karachi is one of the iconic eateries in Hyderabad and boasts of a history of 65 years. It is for the first time in the recent history that the bakery has been raided. In 2014, an outlet of the bakery at Banjara Hills was sealed for allegedly violating food hygiene norms and not maintaining the standards stipulated by the municipal body. Previous article#ExclusiveReport: Why Ace ‘Star’ Cricketer ‘Shikhar Dhawan’ Wanted To Leave ‘Sunrisers Hyderabad’? How ‘Binge Drinking’ Causes Lasting Brain Changes In Youth?